New Mexico musician Randy Granger is an award-winning "Southwest Americana" performing and recording artist blending the ancient and modern. 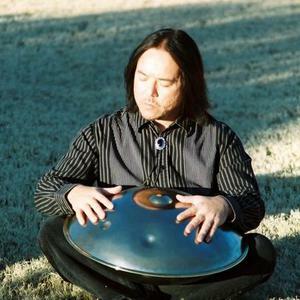 Drawing from the three cultures of the southwest Native American, Hispanic and Anglo he deftly combines strong, emotive vocals with Native American flutes, the ultra modern Hang Drum by Panart with rhythm and textural, melodic music. Granger's music is heard on Public and Community Radio Stations, Satellite and Podcast programs, internet radio and websites. Programs like Hearts of Space, Mystic Soundscapes, Brainwaves, Audiosyncracy and so many programs that his CD "A Place Called Peace" is a "Lifestyle Award" nominee for "Best Native American Album" based on Radio programmers and broadcasters worldwide. He's won and been nominated for New Mexico Music Commission Awards as well as Native American Music Awards. A touring artists he performs at festivals all across the country as well as in solo concerts and has shared the stage with artists like R. Carlos Nakai, Coyote Oldman (Michael Graham Allen), Peter Phippen, Mark Holland, Skip Healey and many more. His skills on the Hang drum and vocals has made him an in-demand session musician as well as a featured performer. NPR's "All Things Considered" profiled Granger in a segment called "Like Water over Bells" in 2007. His prolific recording and songwriting is legendary as are his videos featured on YouTube. Granger has been profiled on television programs, in numerous radio interivew, in magazines, newspapers and webzines for his unique music and emotive style of performing. He is a published poet and songwriter. His heritage is of Mayan, Apache and other tribal descent as well as European, Asian and others that make him a Mestizo or "Mix." He lives near the Rio Grande River in New Mexico's fertile Mesilla Valley.